Today is the absolute deadline for my students in Advanced Placement Computer Science Principles to upload their Create Performance Task to the Digital Portfolio. One of my top students was having trouble getting a file to upload. When he told me that I remembered that some teachers had talked about similar problems in the Facebook AP CS Principles group. A quick look (fortunately my school does not block Facebook) and I had the solution. Apparently short filenames work best. Problem solved. Student work submitted. I’ve seen a lot of problems solved for teachers via conversations in various Facebook groups. 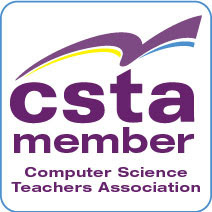 Besides the group for AP CS Principles teachers there is a group for AP CS A teachers, one for Computer Science Education: Researchers & Practitioners, a general Computer Science Educators group, and don’t forget the CSTA group. I’m sure there are other groups that are useful. I know that several CSTA Chapters have their own groups. Are you a member of one? I’ve seen posts in several of these that refer to posts by others either directly or indirectly. For example, a recent post by Mark Guzdial wrote Lack of funding leads to lack of teachers leads to lack of CS classes: We may need to change our strategy. Mike Zamansky made a case that time and money are not as big a problem as prioritization and will in a post called Is there room for CS for All. Garth Flint addressed some of the cost factor in a post called CS on the Cheap. Garth also referred to a book and a video that Doug Bergman blogged about. You’ll find comments on most of these posts as well. Are you following these blogs? Maybe you want to add to the conversations either in the comments or by firing up your own blog? Don’t forget Twitter either. If you are a K-8 CS teacher you will want to follow the #csk8 chat. This week it is about Scratch. No matter how you do it there is a lot to learn by sharing with your peers via social media. Jump on in the water is fine. Computer Science K-12: Imagining the possibilities! My friend Doug Bergman has a new book out called Computer Science K-12: Imagining the possibilities! I reviewed drafts of the book while it was being written and I can tell you there is a lot of good stuff in it. For teachers new to Computer Science who have been charged with starting a new class at your school, and just don't know where to start. I'll walk you through what you need to be considering such as which technologies, what type of curriculum, student recruitment, professional development, connecting with other CS teachers, and pedagogy. For school leaders, board members, and decision makers who need to know what Computer Science really is, what it looks like in the real world, and what it can look like in education-- this book will guide you through many of those early questions as you consider if, how, and where Computer Science fits in your schools: What are the attributes of successful CS teachers? Where can I hire teachers? Do I need "experts" in CS? How do I evaluate a project-based class? Standards? Training for new teachers? What successful programs can I look at for ideas? For those experienced CS teachers who are just not seeing the energy and engagement in your classes, this book will be a wealth of innovative ideas and strategies to help you engage differently with your students. Technology today is interactive, engaging, and dynamic; Computer Science classes should have that same feel. You'll see how to create a student-centered classroom where students lead their own learning. One of the things I like about using Visual Studio and C# (and Visual Basic for that matter) is the ability to easily create some fun graphical projects. I’ve been using variations of the horse race program for years now. I though it might be fun to share my latest use. Students sometimes have trouble seeing the benefits of arrays because they are used to small projects that can get by without them. I want them to see how the combination of loops and arrays make expanding programs easier. My students were given a mostly empty project with the objects you see in the image above already part of the project. I don’t want them to get lost in setting up the GUI. There is a “Race” button, a “Reset” button, four picture boxes, and the finish line (a nicely formatted label.) No code though. We’ll create that as a class. The first thing we do is allocate an array of three picture boxes. Next we assign the value of the existing picture boxes to the array. We talk about how the picture boxes now have two names or two ways of addressing them. This is related to people’s names – formal name, nickname, etc. The naming I use (I hope) drives home how identifiers that differ only by a number at the end leads one naturally to thinking about arrays. We write code to move the “horses” random distances each time a timer fires. Using timers is not absolutely necessary and I have used while loops but timers open some ideas for interesting projects. The “Race” button enables the timer and the horses start moving by changing the Left properties by random numbers of pixels..
Next we add the code to check to see if the Left property plus the width of the box crosses past the left property of the finish line. Students are asked to figure out the Reset button on their own and most do so easily. At this point we’ve had a lot of discussion about the code we’ve written so far. Next I ask them to add more horses to the problem. They soon discover that this is a fairly trivial task because of the way we have designed the program. Since we get to work with interesting arrays and see how setting up loops we cover some important topics. Best of all, students seem to like this project. There is room for student creativity as well. Some add only a few horses, some add many. Some get fancy with reporting winners. Some explore other images from what I provide. Others decided they wanted that last place horse to disappear before the next race. That involved a lot more work then they expected but they were motivated to try things. But no one, including me, get bored. The biggest problem in computer science education is training the teachers we need. That seems to be the big thing on my social media in the last few days. This past week was a major document release in New York of "Priming the Computer Science Teacher Pump: Integrating CS Education into Schools of Ed”. Mark Guzdial wrote about it here. You can also download the actual report here. Mark also shared the slide deck from the event on Slideshare here. If you don’t have time for the whole report the slides make interesting reading as a sort of summary. It has been clear to many of us in CS education for a while that we really need schools of education to step up and prepare CS teachers. This report addresses what is needed with some solid recommendations. This being computer science education, others are tossing in their opinions. Mike Zamansky, who was at the release event, gave some of his thoughts on his blog at - Math For Math Teachers - watering down CS Ed before we even start. Mike comes from a heavy CS background and many years teaching at a highly rated, entrance exam, public high school in New York City. That gives him a particular perspective. 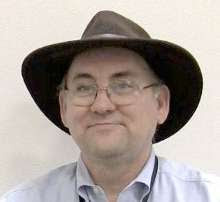 Garth Flint, who teaches as a smaller private Catholic K-12 school in Montana, wrote a blog post on the subject - CS Ed – to water or not to water, that is the question which really covered the situation for a lot of teachers especially those in rural areas and other smaller schools. It’s a different perspective from Mike’s. One is not better than another – they’re just different. In a sense those two posts show some of the diversity of educational environments we’re seeing in computer science education. Preparing teachers for this wide range of needs is definitely going to be part of the challenge. I can’t see a one size fits all CS teacher preparation scheme working. There is really going to have to be some local variation as well as consideration as to different age level preparation. I’m not sure one can easily prepare for the full range of Kindergarten though Advanced Placement Computer Science. Content is one thing but the how to teach is another. OK, now there is something of a roadmap. Will schools of education move into this space the way we need them to do? We’ll see I guess but I hope so. This in a nutshell is the concern with a lot of current efforts to prepare computer science teachers in a hurry. Yes, you can teach a teacher to teach a specific course and you can give them a lot of scaffolding and tools to get by. They may even see great results. But what happens when things change? My school has something like 20 different courses in the Math department. Can you imagine hiring a teacher who could only teach one of them? Even one that is a soft of default course? Seems like a long shot. We want our Math teachers to be able to teach a range of courses. We want that not just so they can be moved around as needs change or to give them diversity during the day but because we want teachers who know where their course fits into the whole curriculum stream. Shouldn’t we want that for computer science teachers. The #Home4CS event, from what I can tell from Twitter, was about preparing pre-service computer science teachers in university schools of education. One can easily find Masters degree programs in teaching English or teaching Math or teaching other sciences. A MS is Teaching Computer Science? That’s a bit harder to find. That’s really going to be essential if computer science education is going to grow and mature the way we really need it to develop. Content knowledge is absolutely critical for teachers to be able to continue as computer science changes. It’s necessary but not sufficient though. Teachers need to know how to teach computer science. It’s not the same as other subjects. Yes, people with deep content knowledge can learn to be good teachers. And teachers can pick up content knowledge and develop into good CS teachers. Learning content AND how to deliver it before starting in the classroom would be a huge advantage. It would be better for teacher and students alike. It is not going to happen until schools of education start making a home for computer science educators. I keep seeing suggestions that people don’t need to learn programming because computers will do it better. I am skeptical. In part I am a skeptic because I have been hearing this sot of thing for scores of years and I don’t think we’re getting close to this that quickly. But more importantly I worry that it will take language processing a long time to get good enough at understanding people and language. A wife asks her husband, a software engineer "Could you please go shopping for me and buy one carton of milk, and if they have eggs, get 6!" A short time later the husband comes back with 6 cartons of milk. The wife asks him, "Why the hell did you buy 6 cartons of milk?" He replied, "They had eggs." I like to share that with my students to help them understand ambiguity in language. Today I saw this somewhat macabre version. I’m still not 100% sure I want to use this one in class but it does highlight the risks of unclear speech. One of the things I learned developing applications early in my career was that users use language that works for them and for people in their field but which may not be clear to others. It is important to understand their vocabulary, their understanding of the tasks, and how they work. Without a common set of assumptions trouble is an unavoidable result. In the first joke above there is no clear connection between eggs and milk and bad assumptions are made. I’ve learned to question my wife closely about the shopping lists she gives me. Things that are totally clear in her head may be totally opaque to me. Will computers be able to know how to ask the right questions? Or will they make assumptions of their own? I’m guessing this will take a while to work out. In the mean time we, people, are going to have to be very careful about how we instruct computers. Idealism is a good thing. Well, mostly it is. This morning I heard Facebook COO Sheryl Sandberg say that Facebook was too idealistic about somethings and that lead to the current Cambridge Analytica scandal. In another interview she said that Facebook was told by Cambridge Analytica that they had deleted their data which turned out not to be true. But Facebook trusted them. When people have good intentions they tend to assume that others also have good intentions. The very early computers and Internet had very little in the way of security. Most people had only good intentions and assumed that everyone else had them as well. Why secure things if you are sure that no one will misuse them? One of the things I learned early in my career is that any program of any size and complexity can be used in ways that the people who created it never intended. We’d all like to assume that no one would using things in bad ways. Alas, this is not the case. These days we teach a lot about being safe with computers and protecting data. It’s a complex problem and one that I think students don’t always absorb as well as they should. Idealism is strong in the young even though there is evidence of people acting badly all around them. Many of us get into the field of computing as a way to make the world a better place. Facebook wants to connect everyone in the world to build community. Google wants to index all the world’s information to make it accessible and available for everyone to learn. Most companies at their core have some ideal of “good” as their mission. This is especially true of many companies, like Google and Facebook, that are founded by young idealistic people. Somehow we have to get people to understand that there are people who will misuse data and we have to find ways to minimize the negative aspects while enabling the positive. And we need to start with the young so that they can continue their idealism and ideals and at the same time protect the people they are trying to help. TouchDevelop is being retired. It’s not the first tool with educational use to be retired by Microsoft. Or from other companies either. While I have used TouchDevelop with my students I was getting ready to move to MakeCode anyway so it is not a fatal move for me by any stretch. I know other teachers who have been using it more extensively who are going to feel some pain though. I tend to divide CS educational tool sources into four categories. Professional tools that are useful in education. In this category we see things like Eclipse, Visual Studio, and other development tools that are being used to create real products. These tools are not going anywhere anytime soon. Companies, both those that use them and those who create them, have a vested interest in supporting and improving them. University developed tools. This includes things like Alice and Scratch but also BlueJ and Snap! and, well, far too many to mention. These are also likely to stay around for quite a while. People tend to build careers around them and use them to attract graduate students who use them, enhance them, and generally want them to be around. Education companies. Companies like Tynker and Birdbrain are included in this group. As long as these companies can make enough money to keep going their tools will be around. There is no indication that anyone is going to take it on though. I always assumed this day would come to be honest. Industry research groups have changing priorities and in some ways that is a good thing. I could argue it is a very good thing in terms of advancing the state of the art in computer science. It’s sad for us in education who aren’t always as quick to adjust as industry is. As one tool fades another grows. MakeCode is pretty cool and there is a lot there learned from TouchDevelop, the Micro:Bit and educational uses of them both in there. Microsoft is developing a sprite-based game engine for MakeCode and a new course on game programming, in the spirit of CCGA (an interesting curriculum based on TouchDevelop.). One hopes it will be available in some form for teachers to learn it this summer. I’m not sure where the materials developed by code.org fit into my classifications though. They are a non-profit with industry funding but they are neither industry or academia. They have some great stuff though. I am using their CS Principles program for example. Chances are I’ll retire before they “go out of business” so I can probably depend on them plenty long enough. Nothing lasts for ever though and change is the most constant thing in computer science. So we have to learn to adjust and change our tools and our curriculum, probably, a lot more often than educators in other disciplines. At least we’re not going to get bored. Those of you with interests in working on cybersecurity with your high school students this Capture the Flag event will find this to be of interest. PACTF is back! PACTF 2018 begins Monday, April 16. Like last year, PACTF will work around your schedule and have a challenge for you, whether you’re a seasoned CTF veteran or just beginning. This year, we are proud to offer over $20,000 worth of prizes to the top 150 teams. Short for Phillips Academy Capture the Flag, PACTF is a computer science and cybersecurity competition for high-schoolers. PACTF is brought to you by Amazon, DigitalOcean, and JPMorgan. There will be two week-long rounds: from April 16 to April 23, and from April 23rd to April 30, 2017. During each round, you can pick any 48-hour span to compete with your team. Registration is open — sign up now! This message from Brian Aspinall was floating around in my social media the other day and it really resonates with me. I’ve long said that we don’t need to teach computer science to create more computer programmers (coders). Now teaching computer science or programming does not automatically make people better problem solvers even if we want to really believe it does. But at least it adds another tool to the tool box. I’m not sure I know what a “digital thinker” is but I am sure we need people who understand computer science. We are depending on computer science to help us solve an awful lot of problems these days. Leaders of the future are going to be in bad shape if they don’t have some understanding of the power and the risks of computer technology. It’s been close to 45 years since I took my first computer science course. I really struggled with the first program. OK someone mostly wrote it for me. The third program we worked on together and the third I mostly wrote for the other person. People do seem to learn computer science at different rates. By now a lot of it seems easy. Programming in particular seems pretty easy. It doesn’t seem to be so easy for students though. Is it harder now or do I just not remember how hard it was when I started? Does it take special motivation? That’s just one thing I started thinking about while listening to Don Wettrick’s podcast with Doug Bergman and his students. Lots of good stuff in this podcast. Well worth the listen.